The main costume Batman uses is a variation on the theme of the regular costume. Actually, I think it looks pretty cool, especially with the yellow continuing around the outline of the extended bat symbol on his chest. A couple of the other costumes reminded me a little more of the cheesy ones that are created for toy lines. Nightwing’s costume looks like a combination of his New 52 costume and that of the Atom during his Sword of the Atom days. Red Robin looked pretty much as normal. Two additional heroes were added in, Flash and Green Arrow. Flash’s costume was pretty cool but he comes off as a bit of a fan boy bumbler who is new to the hero biz and not all that liked. (Nightwing keeps referring to him as “that guy” in a condescending way.) 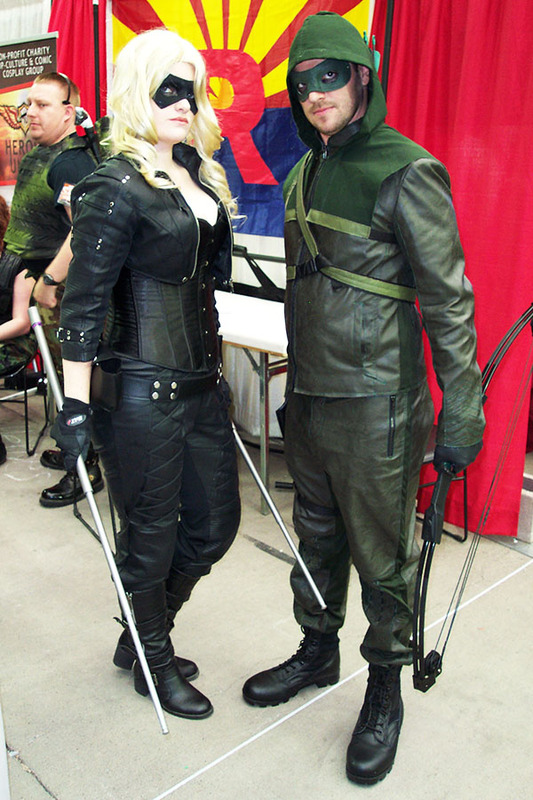 Green Arrow on the other hand has the personality pretty good, but they could have designed the costume better, especially in the hood. The bad guys are all animal based. The Penguin is only knows as Oswald Cobblepot at first. It’s not until he’s revealed as the mastermind and starts his revenge on all the people who looked down on him that he uses the name Penguin publicly. The Cheetah (unusual for a Batman movie without Wonder Woman) appears and looks pretty much normal. Killer Croc has a metal jaw for some reason but is his normal self otherwise. Man-Bat is pretty well on par with the comic one with a little change in his origin to fit the movie. The last villain is Silverback, a character I had to look up to know anything about. Turns out Blue Beetle fought him and the Brotherhood of evil. 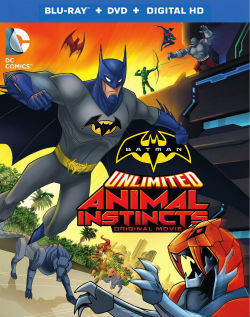 They track down the bad guys while they work to place the devices and manage to capture Man-Bat as well as one of each of the robot animals. Batman is able to temporarily cure Langstrom who helps them prepare for a battle against the bad guys. It turns out that what the Penguin was up to with his huge tower was that he was making a place where he could be safe under a force field while he pulls down the gold meteor. Everyone who looked down on him would die and he and his cohorts would mine the meteor. So, to help the heroes out, Langstrom makes a suit that Batman uses to get through the force field. (This is one of the “toyline” costumes I mentioned earlier.) Batman ends up taking on an army of robot animals with an ace up his sleeve. Or maybe it’s “Ace”. Batman actually reprogrammed the robot animals to be on their side and the wolf one is named “Ace” (like the Bat-dog) and can actually transform into a motorcycle. Flash uses another piece of equipment and his vibratory powers to get through the force field too. With the help of Robin and Man-Bat (now with Kirk’s mind behind him), they stop the plans of the criminals and keep the meteor from destroying the city. While working in the beam of energy to stop the meteor, the serum that made Kirk Langstrom Man-Bat got burned out and he was cured. Overall, it’s a good movie. It’s nice to see an Elseworlds version of the characters. Flash was too flaky and clingy and Robin was a bit wimpy but those were about the only real complaints. I liked the addition of Ace tho tho turning him into a Transformer was a bit much. Still, I’d definitely say it’s worth checking out. I’d like to see some more Elseworlds stuff, maybe with the whole Justice League.